Gary Bentley earned his living in Kentucky coal mines for 12 years. He says the stories he sees in the media about miners and mining life don’t reflect the world he experienced on the job. With a new series of columns called “In the Black,” Gary intends to help share a more realistic view of working underground. Gary Bentley would like to shine a little light on underground coal mining. 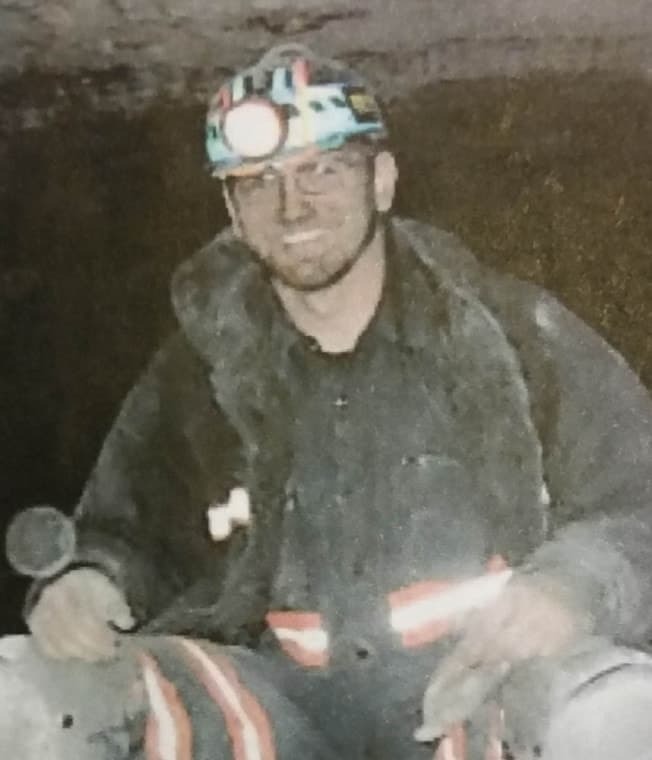 The Eastern Kentucky native worked underground from 2001 to 2013. He’s now in a different line of work in Central Kentucky. Bentley said he would like readers to learn more about miners and get beyond the two mining stereotypes he sees most often. First, there’s the “Evil King Coal” story. In this frame, coal strips “the land and people of everything they love,” leaving only destruction and poverty in its wake, Bentley says. Then there’s the romantic view of the miner – most easily conjured while looking at Depression era black-and-white photos of men posing with pick and shovel in hand. “These men and women are straight-laced, hard-working, God-fearing Appalachian people who work so hard for so little,” Bentley says. Each of these stories has an element of truth in it, he says. And each has it wrong. Coal does exact an environmental cost, Bentley says. But it also provided a living for people, many of whom were glad to exchange labor for money and a more stable economic future. And the romantic notion of the poor but noble miner risking his life for little in return ignores the fact that mining pays pretty well – or at least historically it has. You can find statistics on the “average” coal miner (mid-40s, high school graduate, male, 16 years’ experience, according to one report). But miners themselves are hard to categorize, Bentley says. And all shared the experience of doing hard, dangerous work miles underground.